I recently stumbled across a rather hilarious Bristish YouTube parody of Facebook. Those who know me even remotely well, also know that I'm quite the Social Media geek. Facebook tops the list as my favorite social networking site. This is why I enjoy this video so much. Those of you not familiar with Facebook, will not appreciate the humor as much -- sorry for that. Warning to all Facebook addicts: you may end up peeing your pants. COLUMBUS, Ohio – The Chamber has launched Columbusinternships.com, a free internship portal that seeks to increase the number of internships offered in the Columbus Region and strengthen the connection between the business and higher-education community. The Chamber worked with the region’s 20 colleges and universities to create this portal. ColumbusInternships.com provides a virtual marketplace for internships in the Columbus Region, in addition to answering frequently asked questions, dispelling common myths, and explaining why internships are integral for our future workforce. In conjunction with the portal launch, the Chamber is hosting a training session for businesses interested in starting or improving their current internship program. The event will take place on Monday, May 5, 2008 at 3 p.m. at Columbus State Community College’s Center for Workforce Development, located at 1070 College Ave. Registration is available at www.columbus.org. The session is free to Chamber members and $25 for non-members. Background: The Chamber's three-pronged approach to workforce development, known as Attract & Retain Talent, reaches college-age students, young professionals, and employers. The Columbus Chamber, in partnership with several private and public entities, has a strategy to increase the quantity and quality of our workforce to position the Columbus Region competitively in the global marketplace. “How to Host an Intern” training is presented in partnership with Columbus State Community College and Business First. The Columbus Chamber, with nearly 2,700 area businesses and organizations, leads and supports economic growth and development for the Greater Columbus community. COLUMBUS, Ohio (April 8, 2008) - The Couchfire Collective has announced Agora 2008 will take place on Friday, April 18 and Saturday, April 19, 2008. Agora is the brilliant showcase of Central Ohio's art, music and community - bringing artists and art patrons together to celebrate Columbus' diverse and talented creative community. Agora guests have the opportunity to view and purchase hundreds of works of art, wander through over fifty working artists' studios, experience performance acts and enjoy a variety of musical guests. An exclusive preview event featuring art, a silent auction, musical acts and live performances will be held on the evening of Friday, April 18, 2008 from 6 p.m. to 9 p.m. Tickets are $20 pre-sale and $25 at the door. The evening will feature special guest Maryellen O'Shaughnessy, member of Columbus City Council and strong supporter of the arts in Columbus. Maryellen will be presenting awards to artists during the Preview Party. Food from local restaurants and drinks are provided. There is a suggested entrance fee of $3 for the main event on Saturday, April 19, 2008. Doors open at 3 PM. Additional information can be found on the website. Agora 2008 is being hosted and orchestrated by the Couchfire Collective, an innovative group of individual artists committed to furthering civic development by increasing awareness of the artistic community. The event will be co-hosted by Junctionview Studios, a multi-function warehouse where more than 50 artists and performers work, display and perform. Agora is located at Junctionview Studios, 889 Williams Avenue in Grandview Heights, Ohio. Over 250 visiting artists, 50 artists with studios, numerous musical acts, video and performance artists have been selected and over 3,000 art patrons are expected to attend. Agora will also showcase a sampling of Columbus's best local restaurants and eateries. Preview night musicians will include acoustic guitar master John Morgan, experimental rock by Dayton band Paego Paego, electronic musician Count Funkula, and more. Main night musicians will include progressive rockers Six Gallery, indie folk band Russenorsk, Sinkane, Amanda Heironimus, and many more. Music runs from 3pm to midnight. Performances by Kristina Isabelle Dance Company, HighJinks, Available Light Theatre, Queen Mae and the Bells, and many others will be scattered throughout both nights of the event. Agora 2008 marks the first Agora and largest community arts event since Columbus, Ohio was self-proclaimed the "Independent Art Capital of The World." The Columbus Independent Art Capital movement is fueled by and exists to support the exchange of ideas, attraction of speakers and art makers from around the world, and celebration of the rich arts culture tradition of Columbus. Agora 2008 will kick off the first summer of The Independent Art Capital of the World. Our mission is to create an inclusive, positive environment in which artists of all disciplines, ages, and skill levels can present their works to an enthusiastic community of art patrons. We want Agora to serve as a networking hub that connects artists with buyers, musicians with listeners, and performers with audiences. By providing an opportunity for guests to experience local creativity first-hand, we hope to strengthen and raise the profile of Ohio's creative community. The Couchfire Collective is a group of twelve members who share a common drive to progress as individual artists, develop as a collective, and to raise the profile of Columbus' creative community. Our mission is to provide artists and art patrons with diverse opportunities to make connections and become active participants in the local arts scene. We advocate collaboration and communication between individuals, groups, and professional organizations who have a mutual interest in the arts. By positioning ourselves as enthusiastic innovators, we work to promote awareness of the artistic community as an essential component of civic development. Junctionview Studios is a multi-function warehouse in Columbus, Ohio. More than 50 artists and performers work, display, and perform here. The space is home to periodic shows each month as well as a few really big shows throughout the year. Our mission is to create a stable, productive environment that encourages artists to pursue their passion, and share their vision with the community at large. COLUMBUS, Ohio – COLUMBUS, OH April 4, 2008 – Tip Top Kitchen & Cocktails has joined forces with local beer blogger, The Columbus Beer Wench, to develop an original beer tasting initiative. With the goal of becoming more educated on the world of beer, The Columbus Beer Wench invites blog readers to join in her venture towards becoming a beer connoisseur. As of this February, The Wench has been hosting informal beer tastings with local citizens at a various local establishments. The Beer Wench recently reached out to the owners of Tip Top Kitchen and Cocktails for potential collaboration. Known for consistently listening and responding to the wants and needs of its community, Tip Top owners Liz and Tim Lessner jumped at the opportunity to support its local beer loving population. In turn, Tim Lessner reached out to The Beer Wench for local input on Tip Top’s beer menu. This past Friday, The Beer Wench met with Tim and Steve, Tip Top bar manager, to brainstorm ideas. The three minds collaborated to create the distinctive concept of a “community inspired beer menu”. The concept is rather simple. Let Columbus citizens choose the beers they want Tip Top to offer on its beer menu. Let them also choose the ones that should be discontinued. Tip Top Kitchen & Cocktails, in conjunction with The Columbus Beer Wench, invites the citizens of Columbus to explore this new concept on Sunday, April 20th. The inaugural Tip Top “Drink With The Wench” will take place from 5pm until 8pm. The event will cost $15 dollars a head and includes the beer, various appetizers and Tip Top’s infamous sweet potato fries. Tasters will sample six different beers, three from the current Tip Top menu and three new beers. Each person will have the opportunity to provide input to which of the current beers should be discontinued and which of the new beers should be offered on the Tip Top beer menu. Beers chosen by the group will be featured as local selections. All guests are encouraged to stay and socialize further after the tasting. As always, the kitchen and bar will be open till close. The Columbus Underground has also volunteered to collaborate as a partner in this effort. A tipsy downtown neighborhood bar featuring Ohio Comfort Food, mean whiskey concoctions, draught microbrews, pinball, smiling faces, whiskey, Columbus pride, great local and not-so-local music, Cafe Brioso coffee and delicious pies. Located in the heart of downtown Columbus: The Independent Art Capital of the World! The Columbus Beer Wench is a local Columbus based beer blog written by Ashley Routson. With the creation of “Drink With The Wench,” Ashley has been successfully closing the gap between the interactive realms of social media with the real world Columbus community. Things sure happen fast around here. I'm delighted to tell you that Young Isaac is merging with People To My Site. Attached below is a one-page media announcement, introducing you to our merger partner and describing the combination of our businesses. We will continue to be "Young Isaac" -- with me, with Artie, with Mary, with nearly everyone at Young Isaac -- and with our creative marketing strategy and creative development. People To My Site will bring our clients enormous opportunity in search marketing and search engine optimization. We are taking Young Isaac's existing Internet and new media capabilities and leaping forward into the future. Feel free to give me a call, or send me an email, if you have any questions. Or call Artie at 614-643-1006 or artie@youngisaac.com. Thanks for your support and professional affection toward Young Isaac. 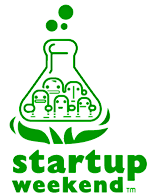 Many of you may remember my post 3 weeks ago discussing the concept of a "Startup Weekend." "What is Startup Weekend you ask? Startup Weekend is a intense 54 hour event bringing together brilliant tech minds (developers, designers, marketers, etc.) together to create a company from concept to launch!" I stumbled upon the unique and interesting concept while reading another local Columbus blog: the270.com. Agreeing with its writer, I posted the information on my blog as well as encouraged my fellow Columbus citizens to vote for Columbus as one of the cities to be chosen in 2008. Based on the survey I filled out, the date for Startup Weekend Columbus would fall either late June or early-mid July. I'm really excited about this concept coming to Columbus. In the meantime, while we wait for further information, I encourage you all to check out the STARTUP WEEKEND website and get familiar with the program and the success some other cities have had with it. LET US MAKE COLUMBUS THE BEST STARTUP WEEKEND YET!